Your hosts Margarita and Peter Cooper-Marsh wish you a wonderful time in Bath. Elgin Villa is seconds away from Victoria Park and the Royal Crescent, the iconic representation of the City’s Georgian architecture which has much to do with Bath’s status as a World Heritage Site. 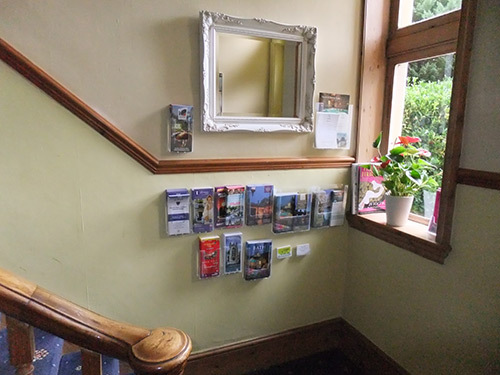 Select from our guides display and plan your programme of sightseeing, shopping and eating out in Bath – mostly within five or ten minutes walk of Elgin Villa. 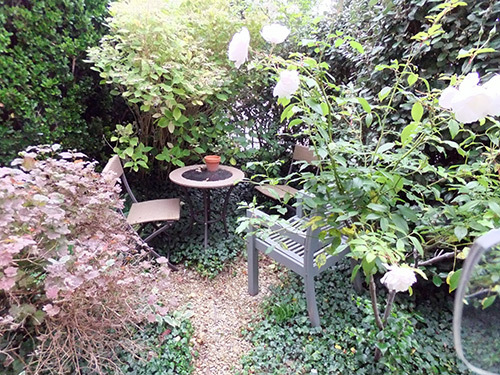 Take the air in our pleasant sitting out area at the front of the house – smoking permitted. Arriving by car? 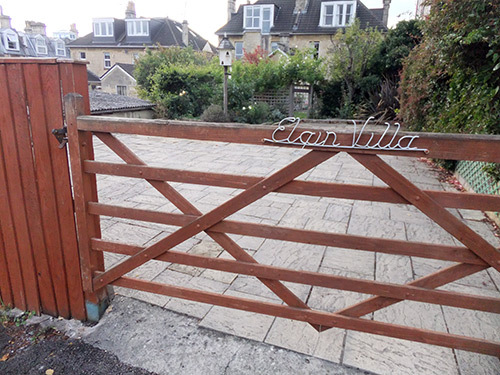 Reserve a space in our private, gated parking enclosure at the back of Elgin Villa. Free if you book direct. Parking is five pounds a day – ten pounds for the duration of our usual minimum two-night stay. 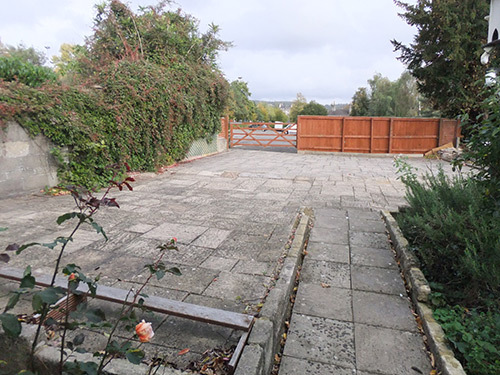 Then come and go as you please and be assured of a parking spot within easy walking distance of Bath’s attractions. Cancellation policy: For cancellation of a confirmed reservation we ask 3 days notice. Otherwise the rate of one night’s accommodation will be charged unless we can let the room.